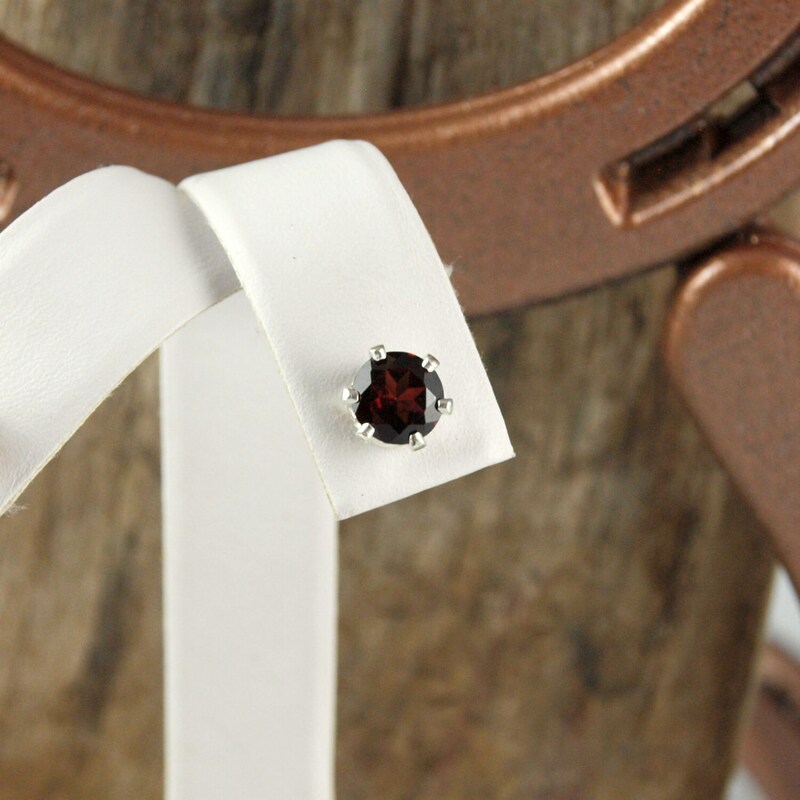 Silver Earrings-Red Garnet Studs-Red Garnet Earrings-Stud Earrings: These exceptional, sterling silver stud earrings, feature two natural deep Red Garnet stones. 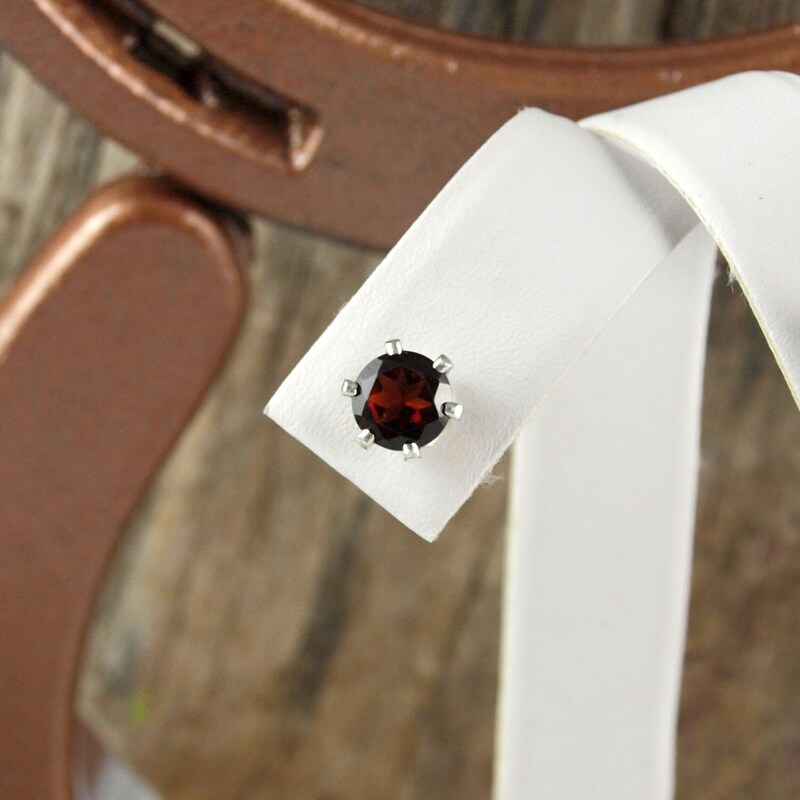 The Red Garnet stones are 6mm (1/4" ) rounds and are set on sterling silver posts with 6 prongs. The six prongs just give a little more security for the stones. 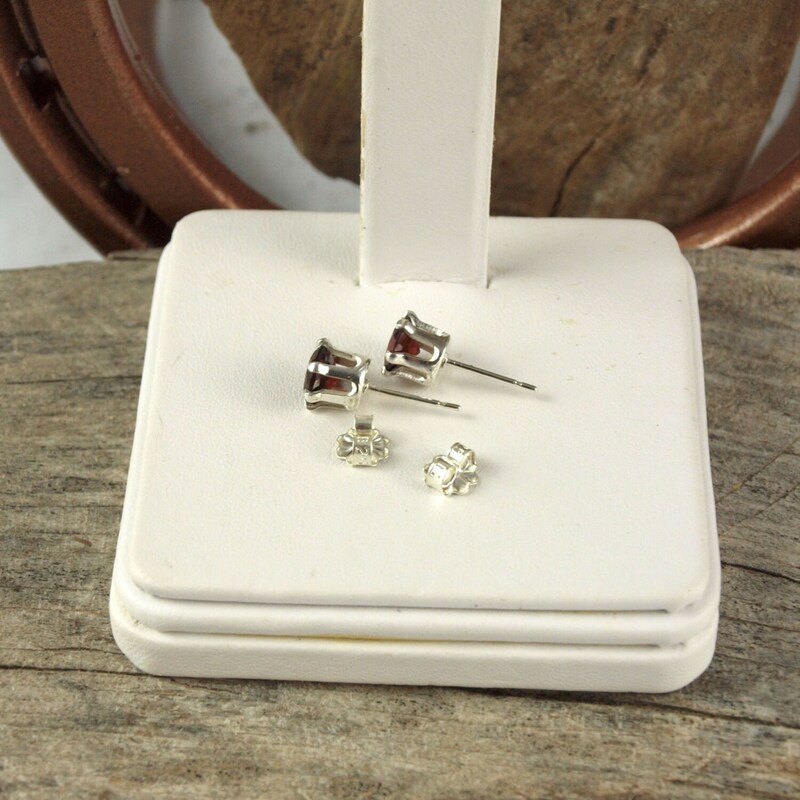 They have a total weight of 1.9 ct.. Garnets are such a fashionable stone that they can be worn any time of year. 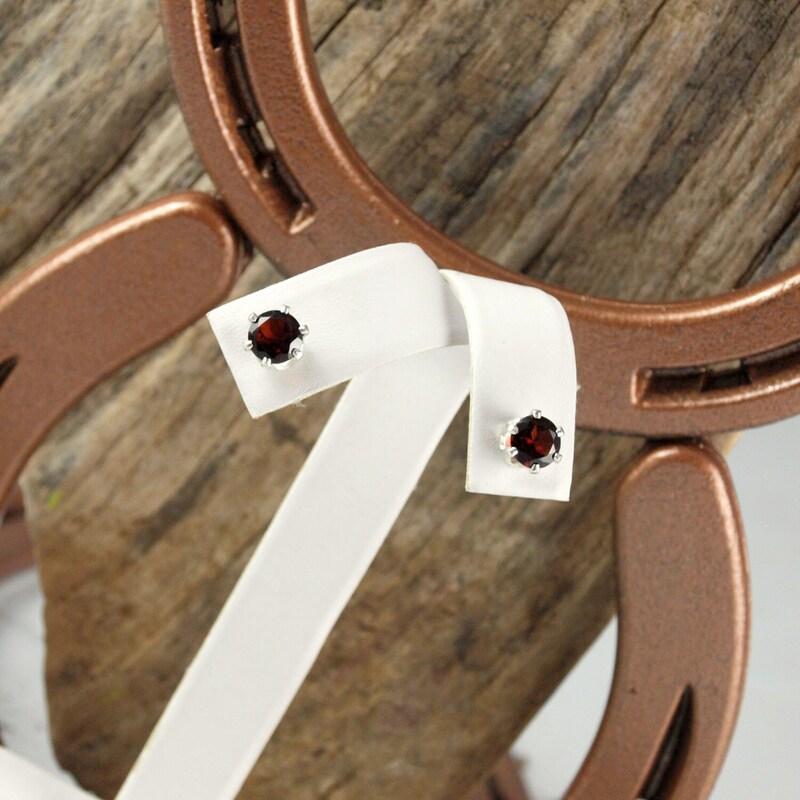 Both stones have a deep red color that makes garnets so popular! This red is particularly beautiful. These are a quality pair of earrings that will make an excellent present! 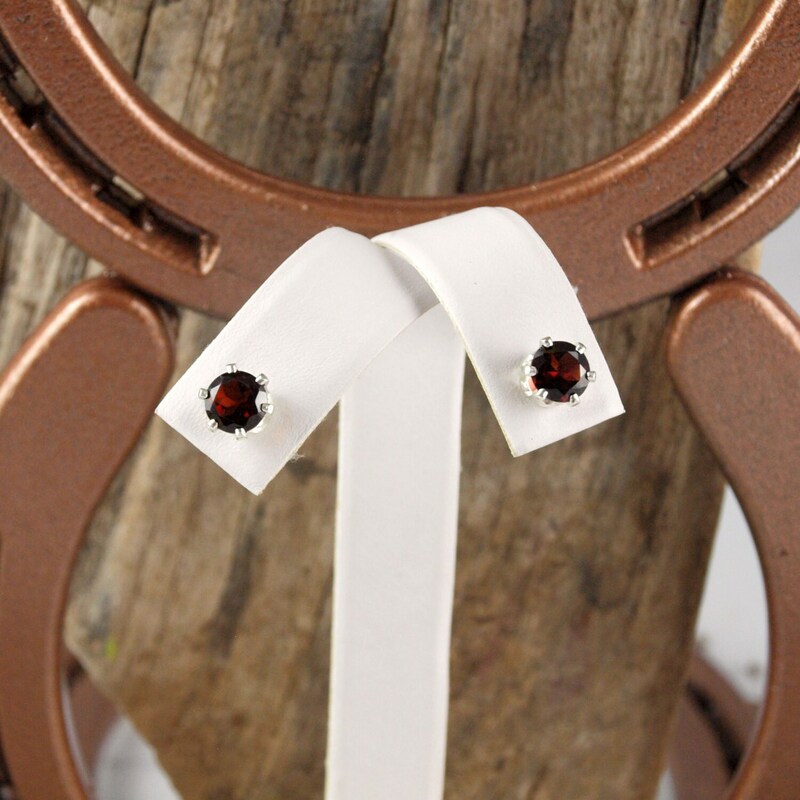 As with all our earrings, we will ship this pair in an elegant gift box for no extra charge!